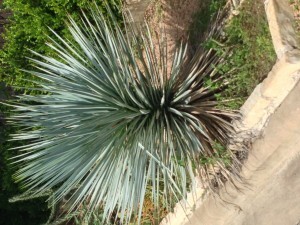 I’m focusing my posts for the month on urban planting (for the most part). 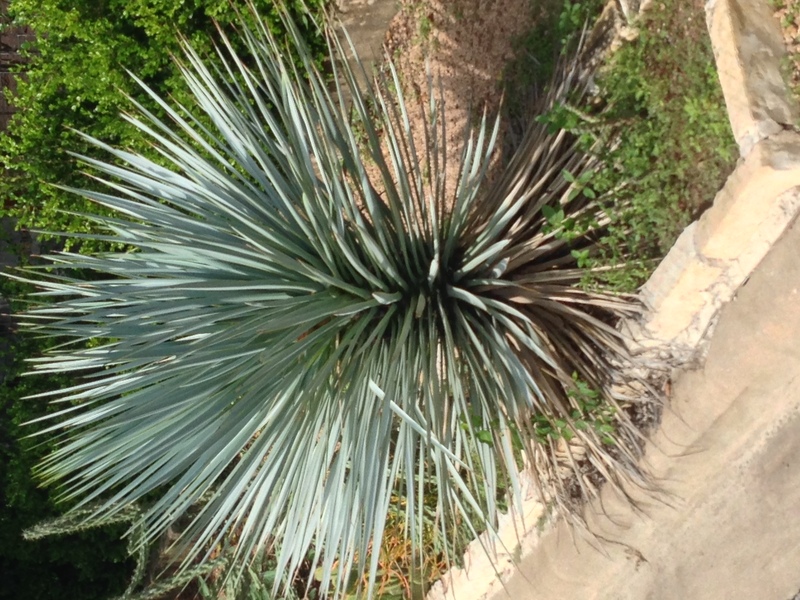 Especially after going to a City of Austin sponsored workshop about the types of plants to decorate our gardens with in this part of Texas, I learned that plants that require less water are more sustainable (especially due to the drought here for the last few years). 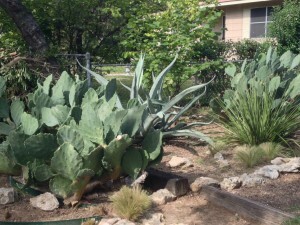 I decided to look around the East Side of Austin for ideas on planting my own sustainable garden. I chose to look for ideas on sustainable gardens in the East Side of Austin because I figured that the likelihood of finding multiple ideas would be greater due to the high occurrence of community gardens in the area. 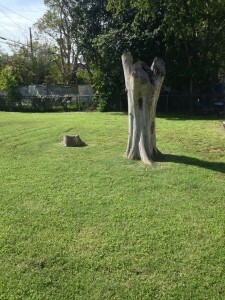 Despite this fact (finding a few appealing gardens), there were a few eye-sores, such as cut-down trees. The gardens I found most appealing contained plants that thrived in dry soil, including various perennials. 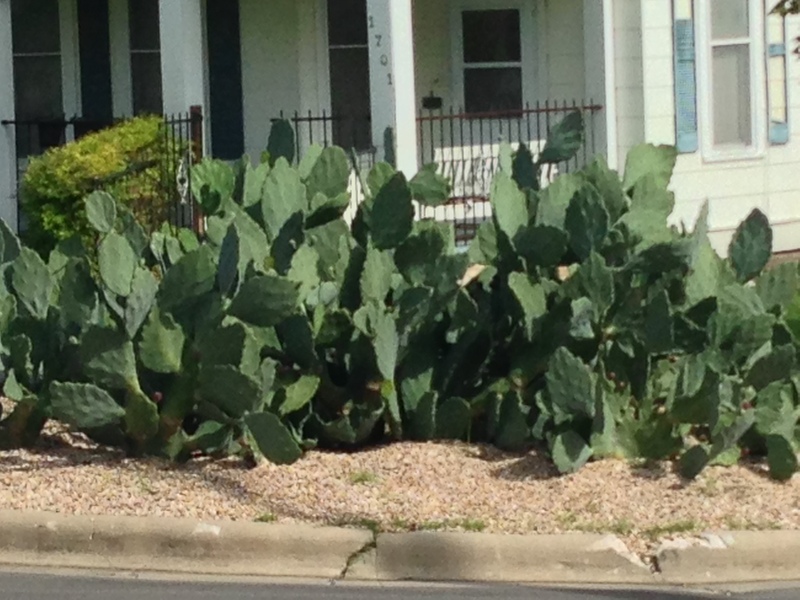 Moreover, I found that many of them grow well in direct sun–a very important detail here in Austin–and actually prefer low levels of water. Such plants give homeowners the opportunity to beautifully enhance the look of their lawns without giving up the green and luscious look most people seek. 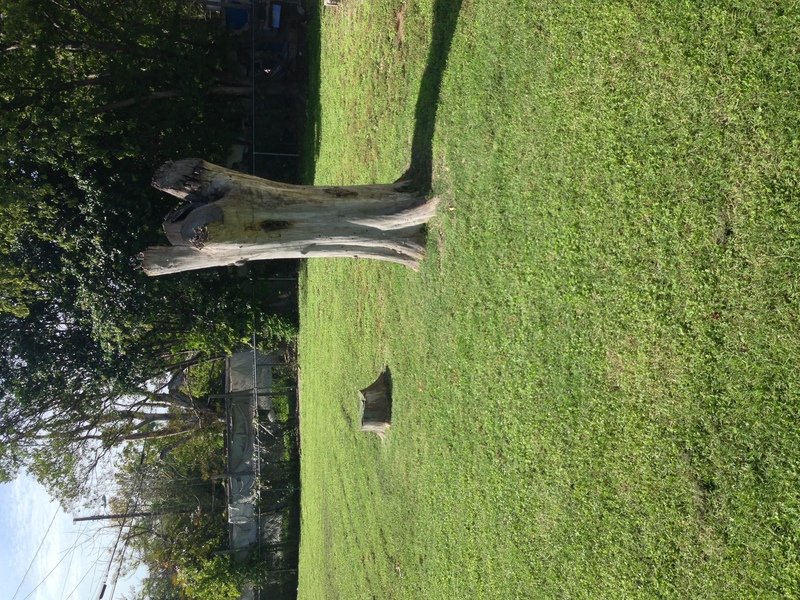 Through our in-class discussions and outside experiences, I have developed a fondness for plants that grow naturally in central Texas, as a means by which the city can look more “natural.” I believe this to be one of the ways that citizens can practice the land ethic Aldo Leopold describes. 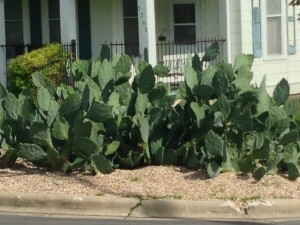 People have the opportunity to allow native plants to thrive while not straining the environment with additional resources, and to incorporate them into the urban look of our city. “To sum up, wildlife once fed us and shaped our culture. It still yields us pleasure for leisure hours, but we try to reap that pleasure by modern machinery and thus destroy part of its value. Reaping it by modern mentality would yield not only pleasure, but wisdom as well.